About 90 percent of Norwegians identify as Lutheran. As of 2016, 14 percent of the Norwegian population was made up of immigrants and children born to immigrants. As we learned last week, the historic Bethel Seventh-day Adventist Church in Oslo, Norway, is vibrant and active. In addition to its native Norwegian members, the church has embraced numerous immigrants as part of its family. One such person is Moalign [pronounced MOE-a-line] Hailu. Growing up in Ethiopia, Moalign suffered much for his faith, as did his father before him. Encouraged by this story, Moalign’s faith was strengthened to face similar circumstances at the young age of 16. At that time (1978 to 1991), socialism had entered Ethiopia, and the Soviet-style government was pushing atheism. When Moalign and two other Adventists refused to proclaim the slogan or attend the political meetings, the other young people beat them mercilessly. They were taken to prison where officials instructed the young prisoners in Marxism. After Moalign was in prison for a year, his father was allowed to visit. “I’m so proud to see such a son who can dare to stand for Jesus,” he said. “Now that you have started, don’t look back.” Then he confided, “We won’t see each other again. When you hear that I died, don’t cry—you don’t need to disturb your mind. I will rest in the Lord, and we’ll be there” he said, pointing upward. After seven years of imprisonment, Moalign and the two other faithful Adventists were called to the regional administrative headquarters where officials tried to give them the death sentence. “It’s not us, it’s God,” Moalign told him. After being released at the age of 23, Moalign returned to high school and later studied theology at the Adventist University of Eastern Africa, in Baraton, Kenya. 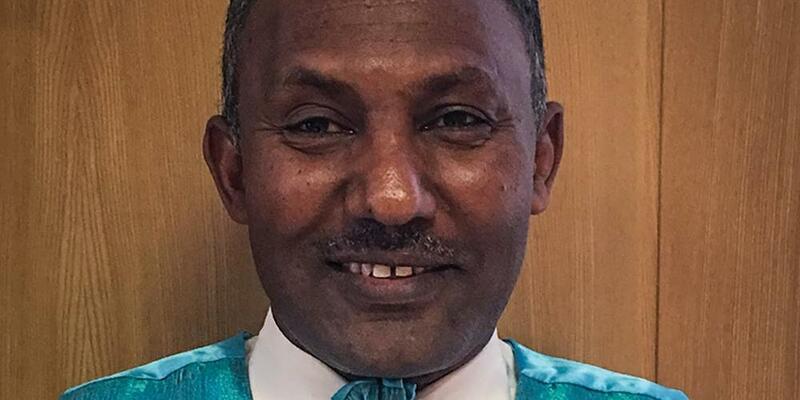 After returning to Ethiopia, where he served as the youth and stewardship director, Moalign was called to serve Adventist Ethiopians living in London, England. After a time the Ethiopian Adventists in Norway invited Moalign to join them in Oslo. He currently serves this group of approximately 50 as a volunteer lay evangelist as he earns an income by working in a nursing home. In addition to encouraging the Ethiopian Adventists who are part of the fellowship at the Bethel Adventist Church in Oslo, Moalign has a burden to reach out to the approximately 3,000 Ethiopians currently living in Norway today.